Cream of Chicken Soup is a lipsmacking hot soup recipe with shredded chicken and cream. Its very simple to prepare and tastes superb. A ladlefull of creamy hot soup is ideal for chilly winter nights and great for using up leftover chicken too. In a large sauce pan, add 2 cups of water, chicken stock, chicken, onion, celery, carrot. Cook covered in medium heat. Once the chicken is cooked and soft, remove from flame. Transfer chicken to a bowl, cool slightly. Remove and discard bones. Shred meat and set aside. Melt the butter in pan. Add flour and cook stirring for a minute. Gradually stir in stock mixture and cream. Add chicken and cook stirring occasionally for 15 mins. Once the soup is creamy and thick, turn off flame. Love this type of soup though never thought of making it at home as there are a lot of ready made ones, surely this would taste way much better. A delicius soup, I like very much. I love creamed soups and this one looks amazing. Perfectly done. When I have time, I am going to make this soup. A well-deserved award awaits you at my page please pick it up. 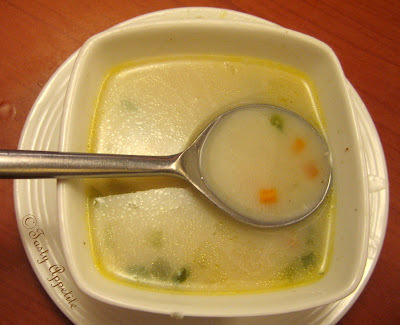 Love the soothing soup in this weather. You never cease to amaze me with your creative recipes:) Congrats! Lovely bowl of soup! Perfect with some garlic bread! Yum! Delicious! Jay eat it before it gets cold. Ideal for the cold winter days!Have a lovely week,dear Jay! Yumminlicious soup..perfect for the weather!! Jay, This looks absolutely mouth-watering! Gorgeous chicken soup recipe :) And thank you for stopping by my little blog. Have a wonderful day! 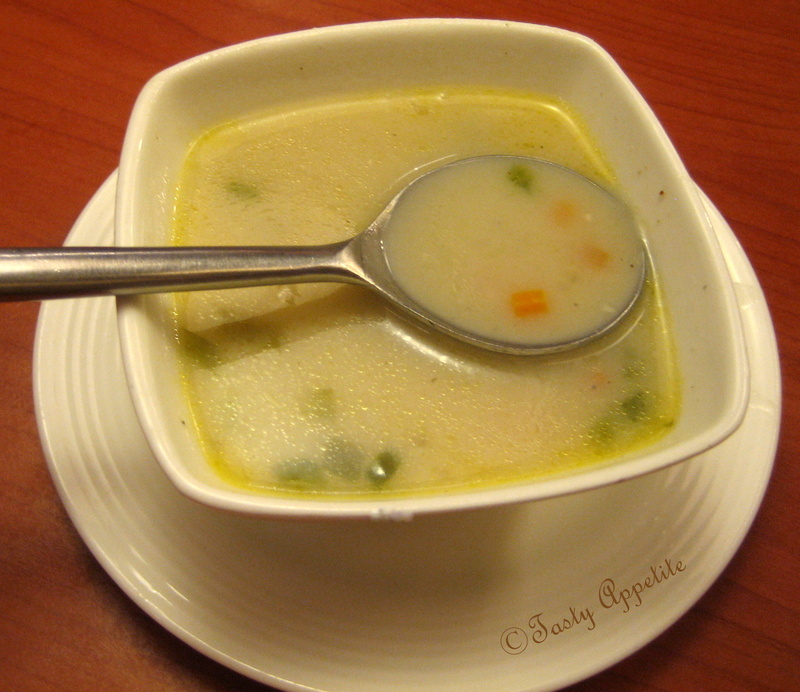 World's favorite - chicken soup; Yum! Yumm yumm, perfect for the winter:) I'm gonna try it soon. Nothing like a delicious and comforting soup, great post! So tasty and comforting soup! All comments are greatly appreciated..! This is good to eat with my bread stick. Very nice and looks so creamy, great for dipping some toasted bread inside. Super comforting soup,feel like finishing that bowl. Mouth watering, tasty and yummy soup. Yeay! so simple for busy ppl like me... Thank you Jay! Yum! This soup looks great! Thanks for your comment on my blog. looks perfect for the cold weather here! very flavorful anf delicious chicken soup. love it. Lovely blog ..delicious soup recipe ..thanks for visiting and following my blog .. 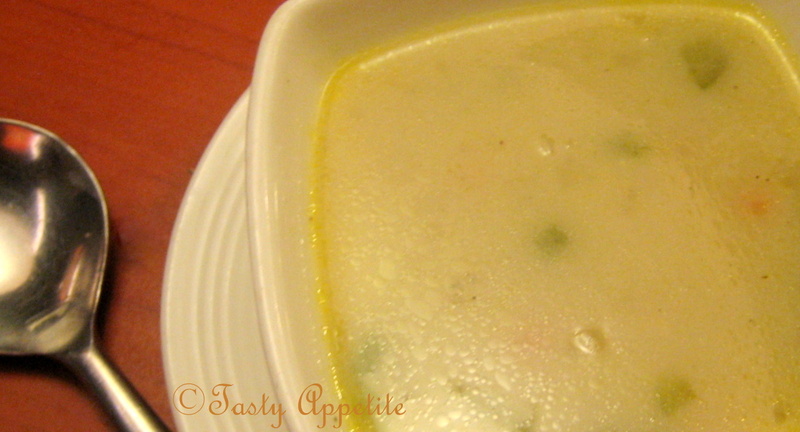 This is a favorite soup in my family...looks perfectly creamy!